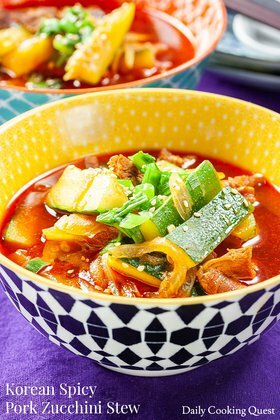 Korean gochujang hobak jjigae is gochujang, zucchini, tofu, shiitake, and onion mingles together in wonderfully aromatic anchovy soup. 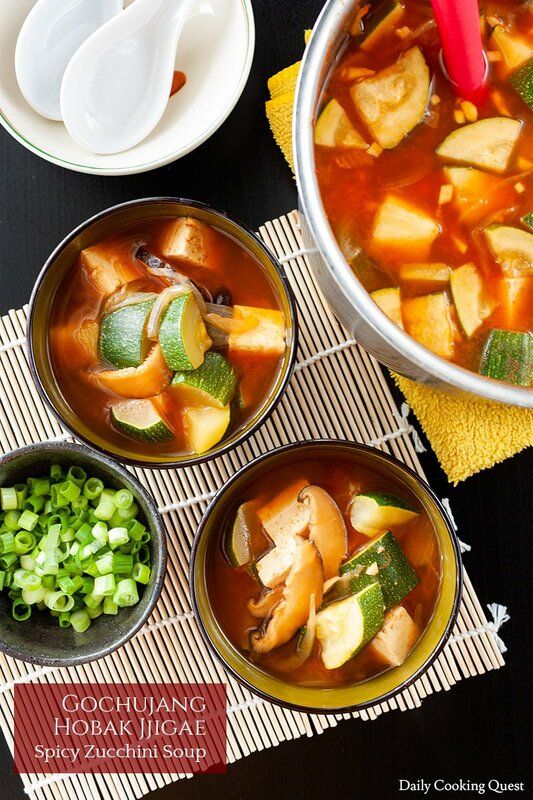 Zucchini is bountiful in summer, and look no further for inspiration to turn zucchini into delicious dish than this easy gochujang hobak jjigae recipe. 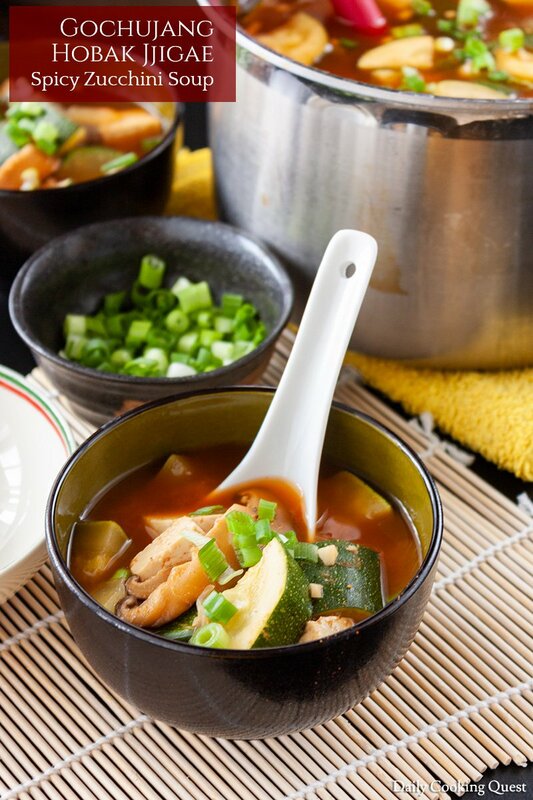 This Korean soup uses anchovy stock as base, and the spiciness of gochujang paste to create a wonderful flavor with zucchini, tofu, and shiitake as the main ingredients. Many Korean dishes rely on anchovy stock as the base flavor, not unlike dashi stock in Japanese dishes. If you have a reliable access to Korean market, you can pick up a packet of dried anchovies. Alternatively, you can also use anchovy stock granules to make the stock. I use stock granules in the recipe, but if you want to make your own anchovy stock, simply simmer together 1⁄2 cup dried anchovies with 4 cups of water for 30 minutes, then strain to get the stock. Aside from anchovy stock, you also need gook kanjang and gochujang for this soup. 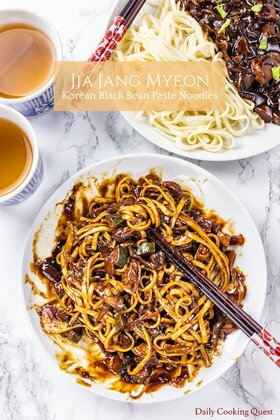 Almost all Korean soup need gook kanjang (Korean soy sauce for soup), so it is not a bad idea to stock up on this if you are thinking of making Korean soup often. 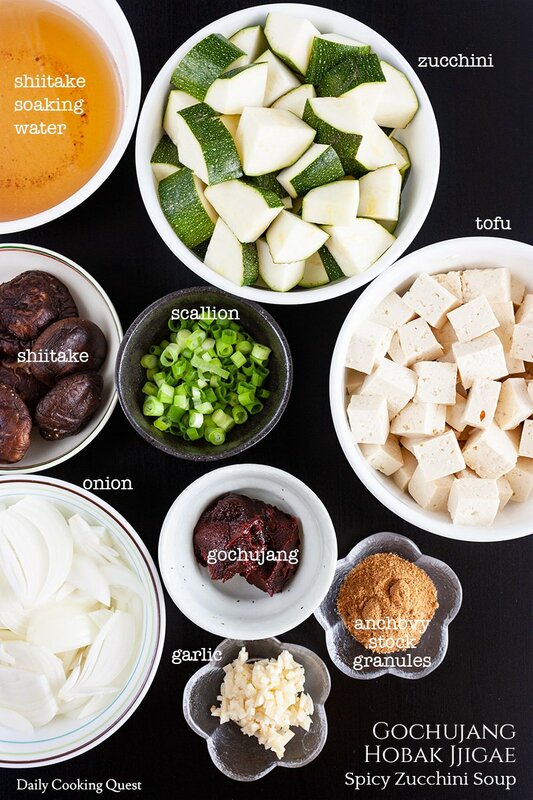 If you only make Korean soup once in a while, it is okay to substitute with regular soy sauce. 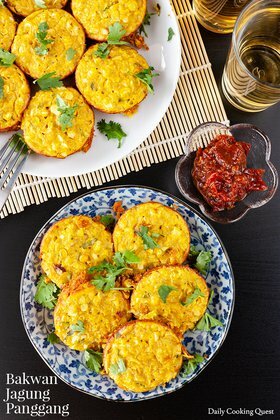 Most spicy Korean dishes probably have gochujang in it, so again, if you love Korean food and are thinking of starting a Korean kitchen, don’t forget to stock up on some gochujang. Cut away the stem from each shiitake mushroom, then thinly slice the cap. Boil together shiitake, shiitake soaking water, anchovy stock, and onion. Reduce heat to a simmer, cover the pot, and cook for 10 minutes. Add gochujang into the soup, stir until fully dissolved. Add tofu, zucchini, gook kanjang, and garlic. Cover the pot again, and continue cooking until the soup boils. Check for doneness of zucchini. If they are soft enough, turn off the heat immediately. Otherwise, cook just until the zucchini chunks are soft. You can add more gook kanjang if the soup is not salty enough. Serve the soup hot with thinly sliced scallions. I'm really impressed with all the flavors that came out of this! The only change I made was I substituted leeks for the onion. It made for a very wonderful lunch.